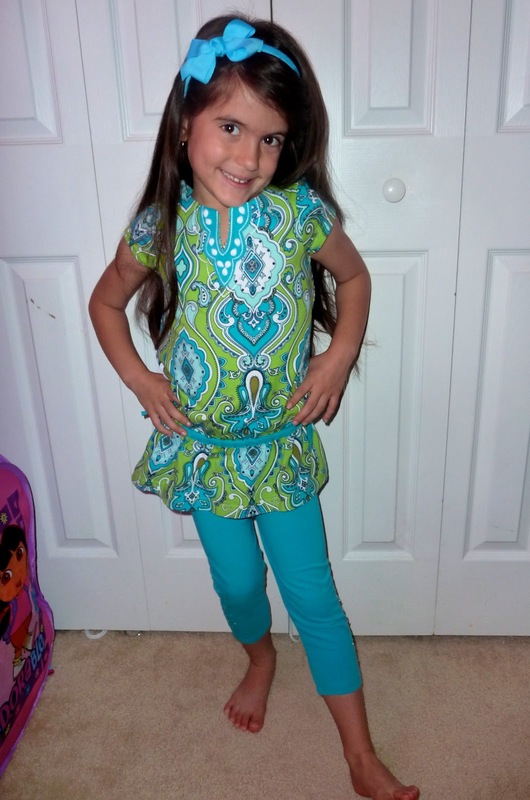 It's no secret that I LOVE to dress my Lil Divas up in quality, fun and fashionable clothing! So I was excited to have the opportunity to review Hartstrings children's clothing in conjunction with a promotional program from Hartstrings and MomSelect. I have to admit that I have been intrigued by their clothing for quite some time. Their store displays always showcase such adorable outfits but it is a bit pricey. That is what has kept me from purchasing from them in the past so I was excited to have the opportunity to finally go in and shop, shop, shop. My game plan was to shop for Christmas/Holiday wear but the minute I walked into the store their Sea Glass collection immediately caught my eye (even amidst all the holiday wear being showcased). The colors and style are perfectly suited for our South Florida weather and I simply could not resist. The line has a fun medallion print, embroidery details and vibrant colors. I honestly wish it came in my size! from the Sea Glass Hartstrings collection. Isn't this faux tie drop-waist tunic adorable? I LOVE how my Lil Diva looks in this outfit! shimmer and sparkle - perfect for the fashionable Lil Diva, like mine. the Lil Diva loves the outfit. It's comfortable, easy to wear and looks great. This is the kind of outfit that a Lil Diva on the go would love to wear. 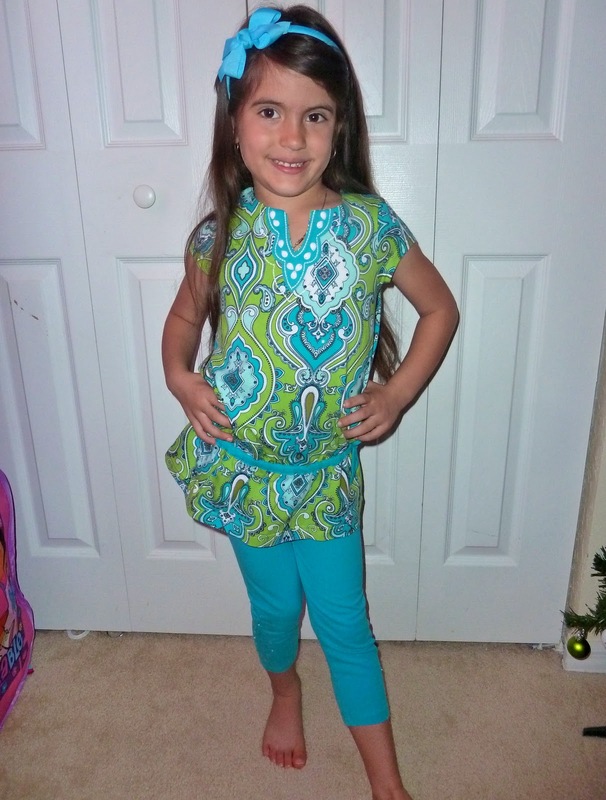 As a mom to 2 posh lil divas I like that the clothing is machine washable. I stay away from any clothing that requires special care or dry cleaning. It is simply not worth it in children's clothing. I also appreciate that Hartstrings is fashionable and trendy without being skimpy for little girls as so many styles unfortunately are these days. 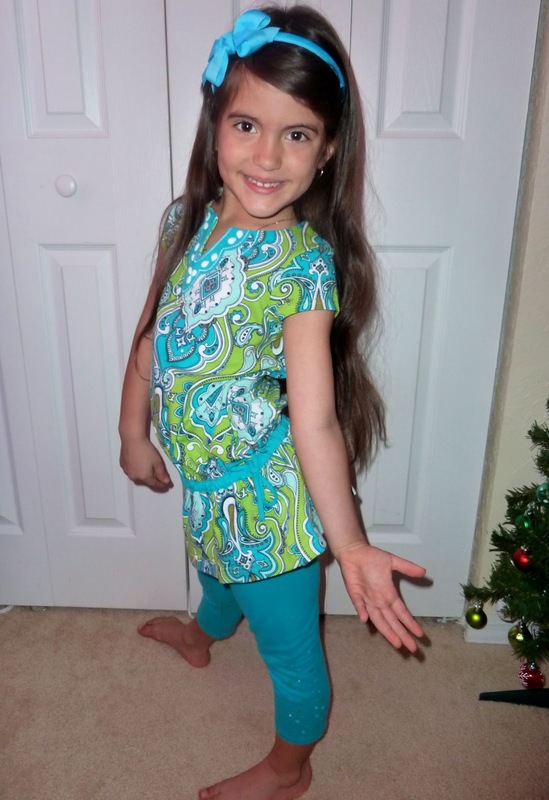 Want to see what the Lil Divas will be wearing for Christmas Eve this year? Living in South Florida it can be hard to find holiday wear that fits our weather. So many of the outfits I found were long sleeved, thick, etc. so I was excited to find these skirts. They are relatively light weight, festive and the Lil Divas really liked the rose print. like the rose, that the outfit goes above and beyond. I can't wait until the Lil Divas wear the skirts on Christmas Eve. Overall, I am very impressed with Hartstrings. I definitely see more of their clothes in our future. The brand is a bit on the pricey side but you definitely get what you pay for in terms of quality. The clothing is very well made, comfortable to wear and the fit was great on both my Lil Divas. Plus, they offer great sales so if you shop savvy - you can get a great brand at an affordable price. To keep up to date on all the latest fashions and sales join Hartstrings on Facebook (get a 10% off coupon when you sign up for their email list) and Twitter. Disclaimer: I received a gift card from Hartstrings in conjunction with a promotional campaign from MomSelect to facilitate this review of their clothing. That being said, this review is my 100% honest opinion of the Children's Place clothing - I am not paid for my reviews or optinions! They are 100% mine! Please remember that your opinions and tastes might differ from mine. I love it!!!! Thanks for posting a close up so I could get a better feel for the quality. I will check out there site now for my princess ;) Thanks for sharing!